Our mission is to help improve the capacity of not-for-profit organisations - here are some resources and research findings that you may find useful in your organisation. We have adapted the findings from our two sector surveys on 'the foundations of a well-run not-for-profit' into a guide consisting of 10 questions for Boards to consider in assessing whether their organisation is well-run. You could use the questions at a future Board meeting to encourage an honest and robust debate on these key topics. Mergers, and variations of, including collaborations and partnerships, are an increasingly important consideration for not-for-profit organisations. 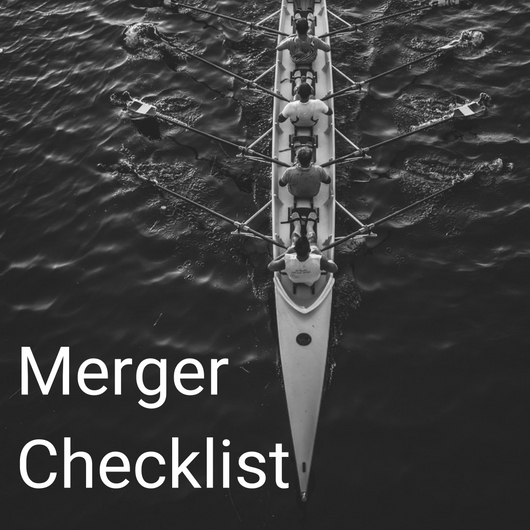 This is a summary of the key issues to consider when thinking about a merger. What makes a not-for-profit 'well-run'? From our many years working in the not-for-profit sector, we often hear the phrases 'we are a well-run organisation' or 'we only support well-run not-for-profits'. Indeed, when the Packers launched their $200m philanthropic fund, one of the three criteria to apply was that you had to be 'well-run'. 2. Having great people, with a particular focus on great leadership. In 2017 we wanted to again survey the sector on this topic, to both see how responses had changed since 2015 and to also delve deeper into some issues such as governance, leadership, collaboration and internal capacity building. The 2017 report indicated that a lack of appropriate internal investment in not-for-profit organisations may be contributing to why most respondents thought the majority of not-for-profit organisations are not well-run. Not-for-profit organisations should therefore ensure they have an internal investment decision making framework so that decisions on what to spend on people, technology, innovation, systems, processes etc. are made wisely and with a long term view.